Have you ever wondered what it takes to be a lifeguard instructor or attendant? Well here’s your chance to learn all about it! To get started, read about our positions and the minimum qualifications for a variety of aquatic job positions! Contact our Recreation Manager to see how you can join our exciting team! Become a Lifeguard Instructor! An important job which emphasizes leadership, teamwork, and life skills. If you are interested in instructing the Bronze Medallion and Bronze Cross courses offered by the Lifesaving Society, you are required to also complete the Lifesaving Mega Course. Aquatic Attendants receive the public at the front gate and at the slide tower to ensure compliance to policy in an effort to maximize safe use of the facility. This is a great experience towards becoming a lifeguard! Prerequisite: You must be 13 years of age, attend EVERY CLASS and pass the FINAL EXAM to be certified. There will be no make up classes. You must be PROMPT in attending all classes. Prerequisite: Bronze Star, Bronze Medallion or minimum of 14 years of age, attend EVERY CLASS and pass the FINAL EXAM to be certified. There will be no make up classes. You must be PROMPT in attending all classes. 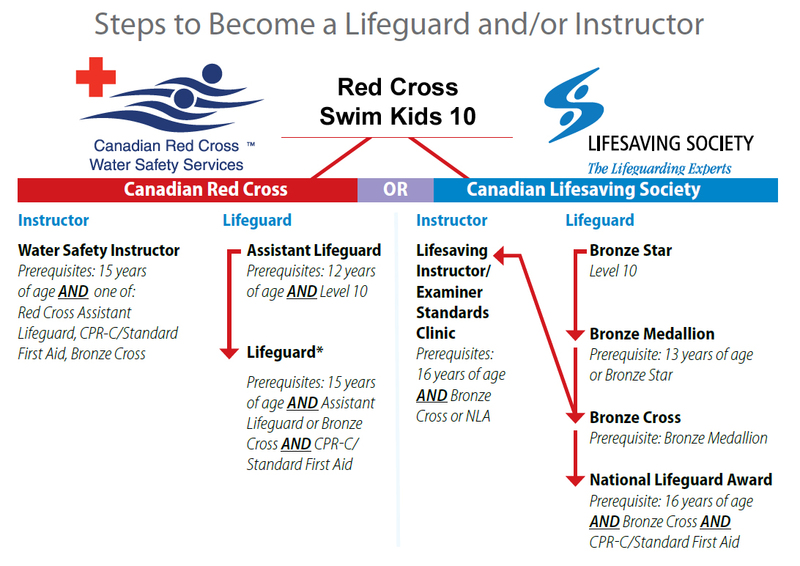 Prerequisite: Bronze Cross, Standard First Aid or Aquatic Emergency Care and minimum of 16 years of age.